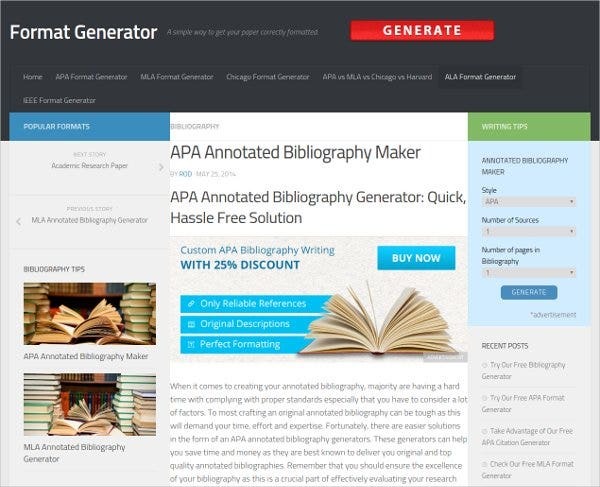 For the quick process in creating the layout of a bibliography, you can download annotated bibliography maker generator where you will just type the information needed in the box and the generator will do the rest for you. You can have this with Teaching Annotated Bibliography Templates in example format where there will be an easy result of a sample of a formatted bibliography. This program will save your time even if it’s little as it requires you to type down all the details of the reference and the synopsis of it in the template. But overall it is an effective tool to provide the Annotated Bibliography Samples layout for the book or journal you are making. > How will you use Annotated Bibliography for your needs? 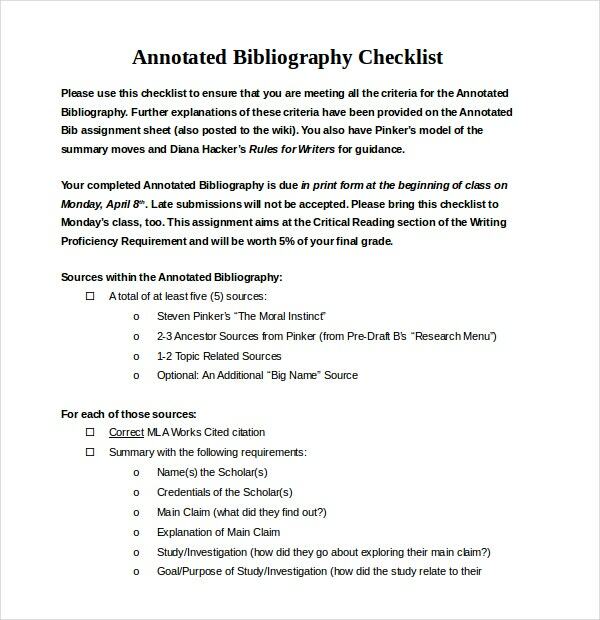 While creating MLA Annotated Bibliography Template you will be required to find adequate reference where you want to add your annotation. Then you need to edit the reference and decide where you want your annotation to be added. 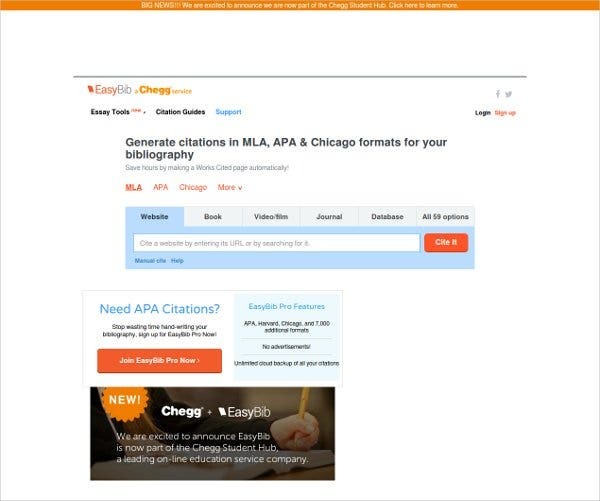 There are some annotated bibliography generators which offer styles like APA and MLA. If you desire to add your own annotation output style, that has to be included in the abstract field. Certain steps have to be adhered when you are planning to include annotations. The first step deals with navigating to the bibliography followed by visiting the output style editor page. This will open up a new window where you need to choose your desirable style. Select the style, edit it and save it. While saving it, use a familiar name which is easy for you to identify later on for example “APA annotated”. 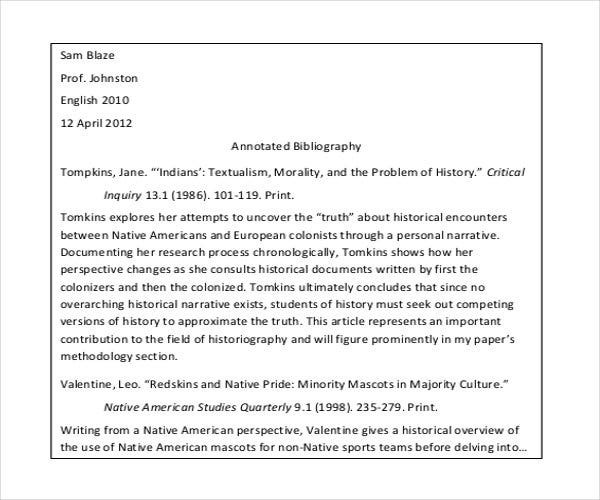 You can also see Simple Annotated Bibliography Templates . 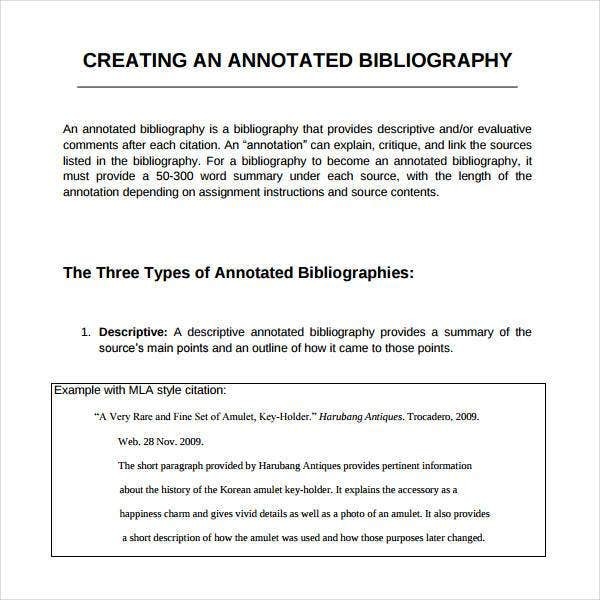 Using both annotated bibliography generator MLA and NND annotated bibliography is easy upon following the instructions step by step. This not only saves your time but also lessen your effort. The generator reduces your stress in writing your annotated bibliography with the help of the generator. 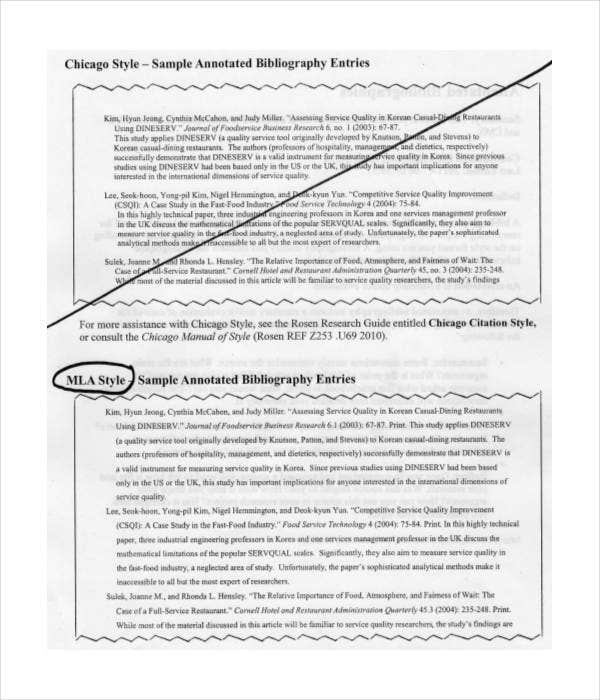 You can also see Blank Annotated Bibliography Templates . > How can a Student Derive help from Using this Bibliography Maker Generator? 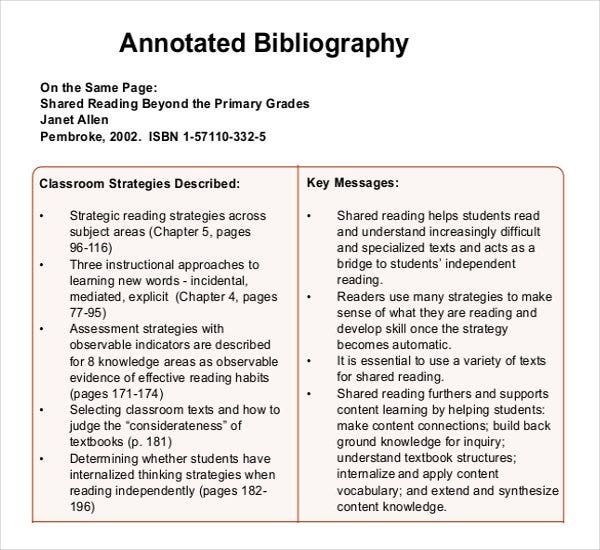 It is often noticed that students face a hard time writing annotated bibliography. Annotated bibliography maker Generator offer a first-hand solution to the students eliminating the risk of making mistakes in this major section of their assignments. This bibliography maker generator not only prevents your face loss from the professor and the class but also uplifts your image by providing you with a complete solution to make your assignment complete and the best. > How the Annotated Bibliography Maker Generator does Works? The Annotated Bibliography maker generator works on a simple principle. The generator using its principle helps the students in availing its use by just visiting the service’s website. You need just to choose your requisite bibliography format i.e. APA, MLA, Chicago and such others and then note down the literary sources you have used in the content written. 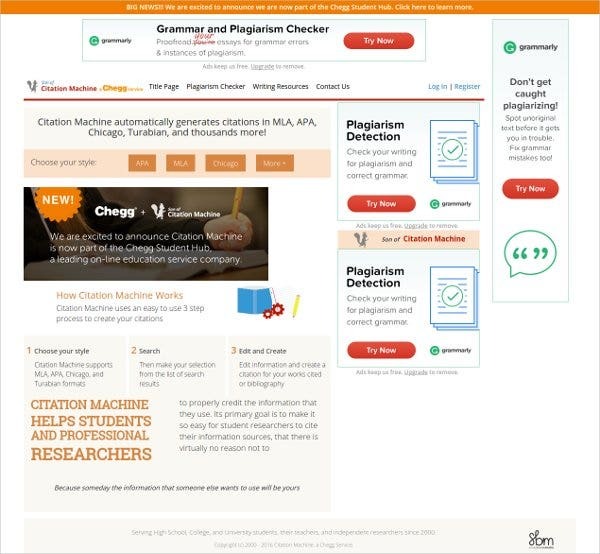 Upon completion of this step; the generator enables the student for easing out the bibliography downloading process which can be used for citation of the source later on. It is mandatory on the part of the student to write the assignment free from any plagiarism which means that the material or content should not be copied from any other sources. Citing all the sources helps the student to prove that all the work included in the assignment is not accused of plagiarism and is done respecting the scholars work and thought. 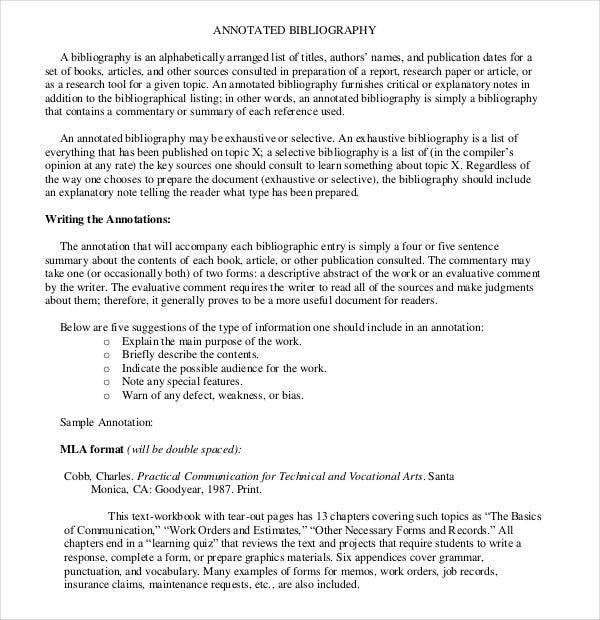 How to Create an Annotated Bibliography Online? 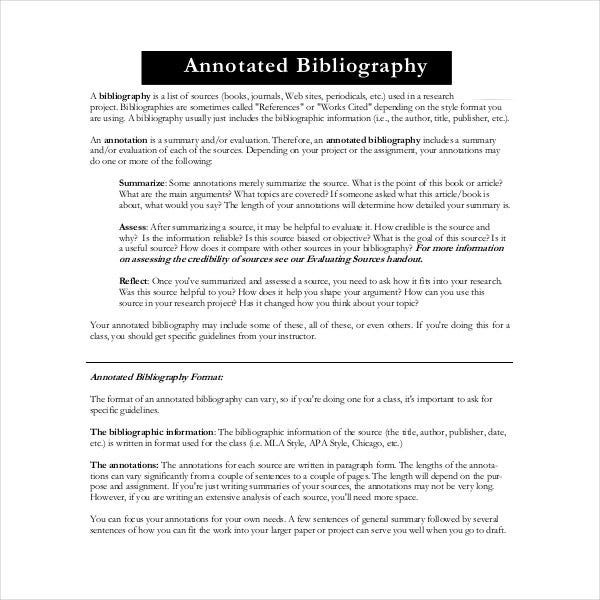 An Annotated Bibliography is basically a list of citation of books and articles. This is basically to give confidence to the reader by providing a relevant and accurate source. Therefore it is really important to write an annotated bibliography along with the work. It is possible to create annotated bibliography with help of online tools that are available. In the tool, you need to enter the information about the web page and the bibliography will automatically be created. 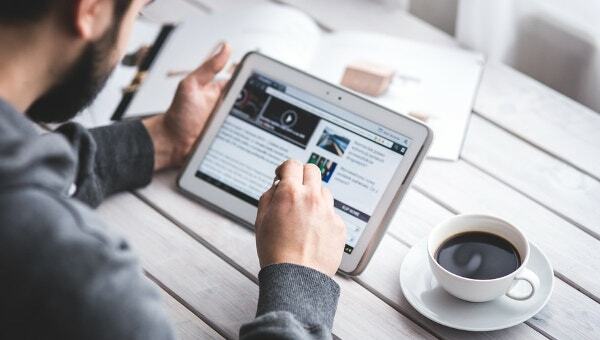 The tools are really useful as they save a lot of time and a quick search on google will help you getting several such online tools which can be used free of cost. There are certain rules to writing a bibliography and there are many templates available for the same. 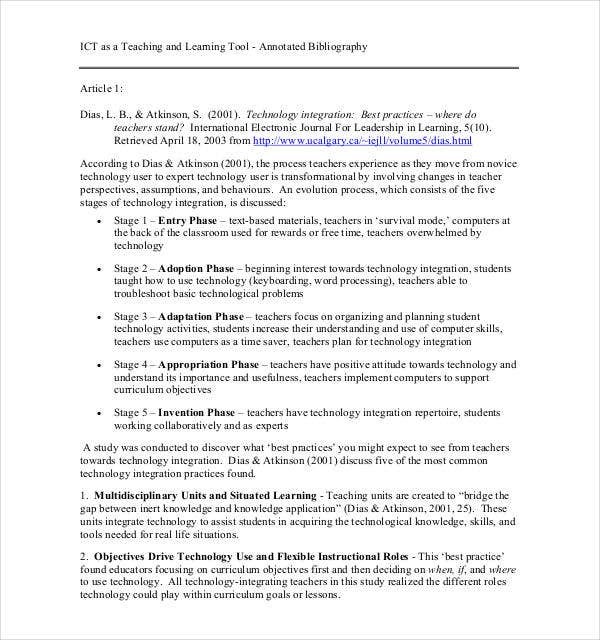 A person can use Annotated Bibliography Templates to create a bibliography and there are several of templates available under Teaching Annotated Bibliography Templates. 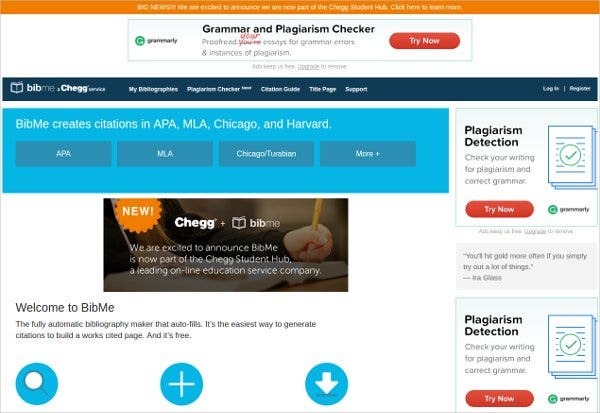 To write the bibliography you can start with locating the source and then you can specifically choose the work that you want to cite. 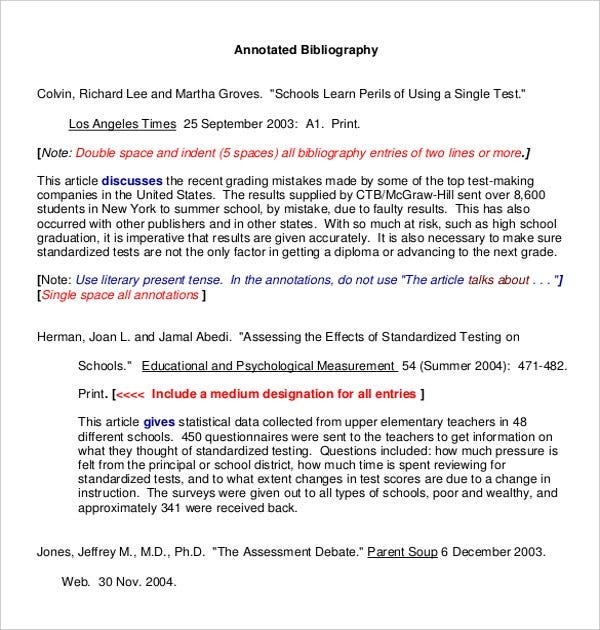 What is an Annotated Bibliography APA? 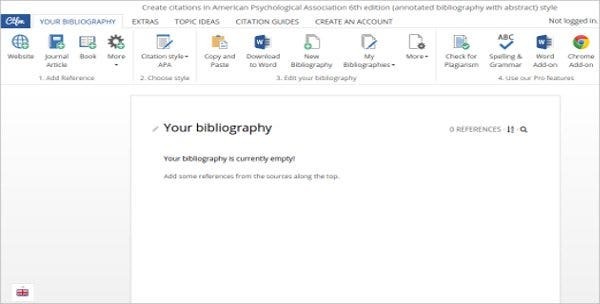 APA basically stands for American Psychological Associated but the APA doesn’t provide any specific instruction about creating a bibliography. There are certain teacher or professors who may ask for a specific type of Word Annotated Bibliography Templates and hence the professor should be consulted in regards to the same. The generally accepted format is the one where the annotation can summarize or evaluate all the sources used in the literature or the research paper. 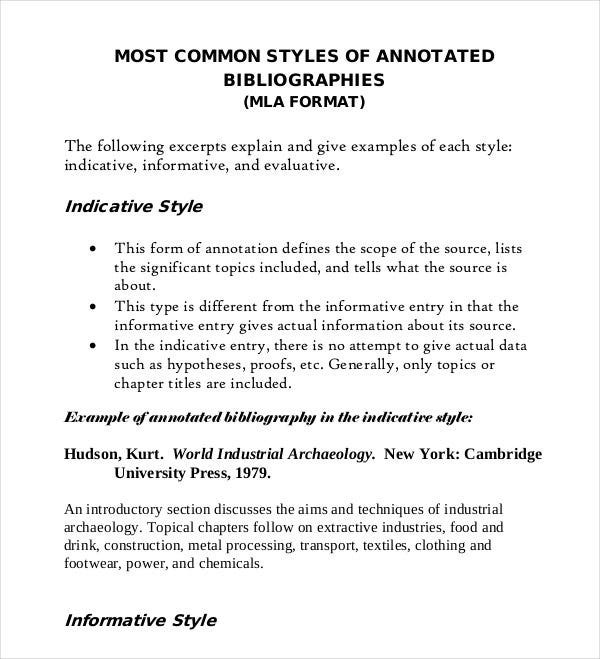 There are several standardized formats of APA bibliography which are available on the web but it is still advisable to check for the exact style and format with professors. It can be concluded that the Blank Annotated Bibliography Templates is an important part of any literature and research as it provides with relevant information regarding the source of the information cited in the work.